The Grand Astoria was formed in 2009 by guitarist and singer Kamille Sharapodinov and guitarist Igor Suvorov in Saint-Petersburg, Russia. Since then Kamille is the only constant member of the band but he’s a hyperactive song-writer and they're five full-lengths albums in The Grand Astoria discography and about dozen releases of smaller caliber like EP's and split-albums. Each album is a new journey in depths of psychedelic stoner music where you can easily meet elements of progressive rock, doom metal or even heavy punk. 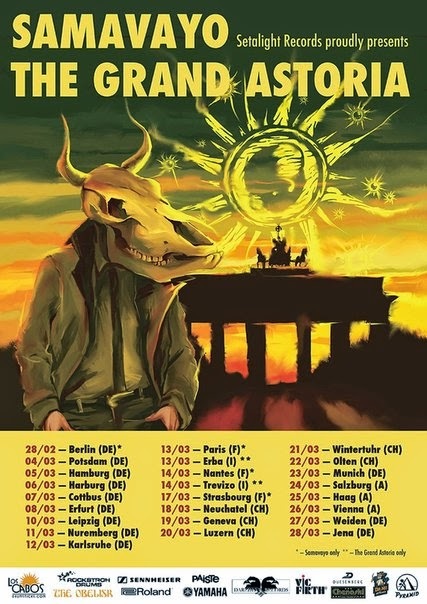 The Grand Astoria is ready to hit the road and head on in new European tour so maybe they’ll play in your city too… Only Ugly Billy with his bull’s skull on his shoulder may know that. Hi Kamille! How are you man? How does your preparation for a tour go? Hello mate! Goes pretty stressful ‘cause simultaneously we try to finish the recording of the new album and send it to the mixing guy. So lots of stuff to do. What is your necessary equipment in tour besides instruments and merch? Good behavior, good mood, good books and good music in my mp3 player. 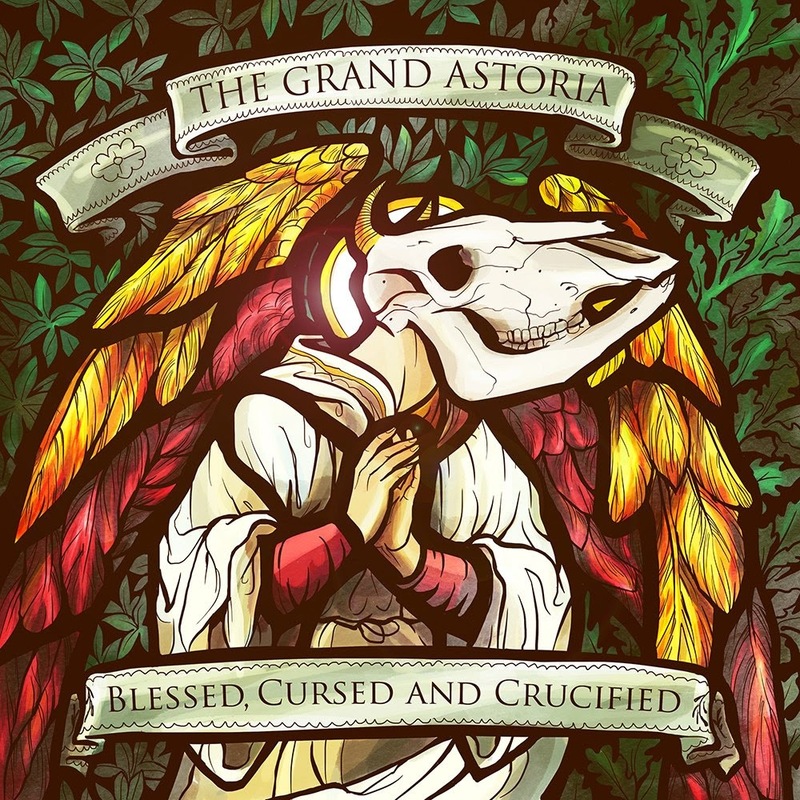 It’s 5th or 6th big tour for The Grand Astoria, and the band has five full-length albums with different range of styles from stoner and doom to psychedelic and progressive rock. How do you choose songs for sets in each tour? Actually it's 13th or 14th tour like that for us I don't count them. This time we will play mostly new songs because we need to practice them before recording of another new album. We plan to start recording sessions in April. Stop man! Do you really mean what you're working over two new albums now? Even three of four maybe. Two full-lengths and few EPs are in the process right now. Well, I need to ask you about stuff which you have already prepared for a next, nearest record. What is stylistic direction of this record? It will be very doomy and dark on one hand and very psychedelic and proggy on the other. I think the songs are the heaviest ones I have ever written. You have an epic song “The Body Limits” which was included in split with Montenegro. I’ve heard this 30 minutes long space doom piece on your gigs in Saint-Petersburg. Will you perform it in tour? Not this time unfortunately. I'd like to but we need to concentrate on other songs, but there will be also another very long one in the set-list which sound pretty much like The Body Limits pt.2, you will like it! It will appear on the new album. What about your new stoner-hits like "Gravity Bong" or "Blessed, Cursed and Crucified"? Are they included in your set-list? “Blessed…” will be there, “Gravity Bong’ will not. Do you know names of bands which will share a stage with you? Most of the tour we will share the stage with our German friends and label-mates Samavayo, some dates in Italy are booked with our best Italian friends - Doctor Cyclops, really nice band! In Switzerland band called Six Months Of The Sun will join us. There will also be some local support in all the cities but I don't know the names. The band’s line-up has changed not so long ago, did you solve this problem now? It's not solved and I just asked another friends of mine to join me on this tour. I am lucky to know many good musicians. Your last big record is “La Belle Epoque”. Does the album’s title has a connection with period of European history from 1871 till 1914 which was characterized by new technologies, scientific discoveries and optimism? How did it reflect in these songs? I just felt that this title matches good with music. And it's quite an optimistic album. 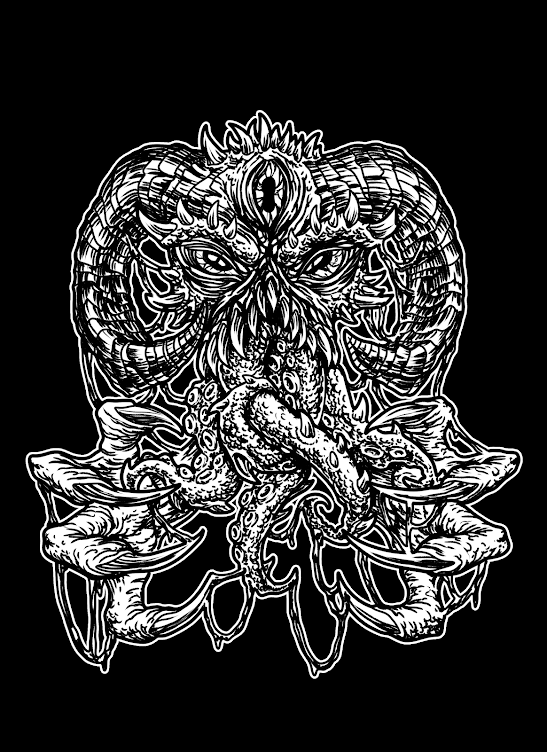 New one will be much darker and heavier. 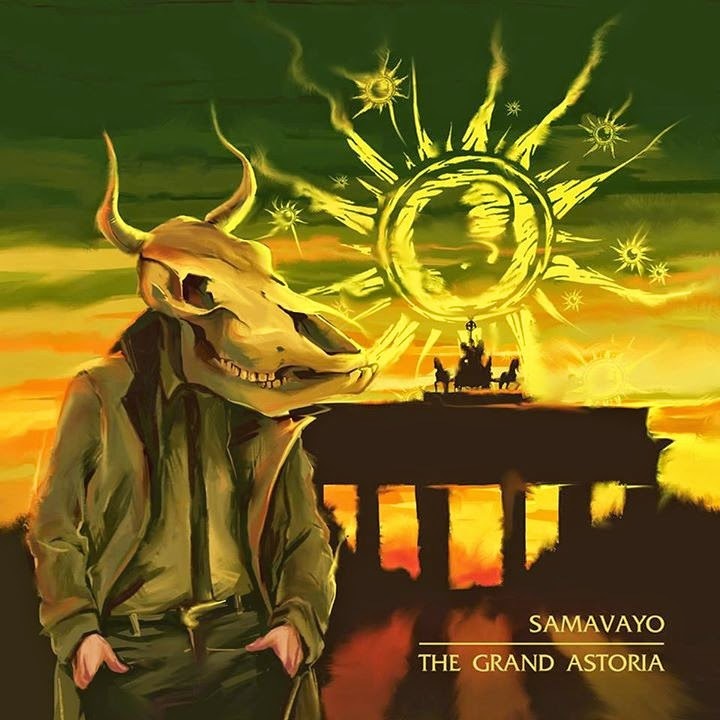 The Grand Astoria also has two new split-EP's – with Australian band Mother Mars and with German band Samavayo. Are both records already released? This split with Mother Mars was released digitally last year and the label got the test pressing in December, now we are waiting for the real copies. Split with Samavayo will be out on 27th of February and we will have these vinyls with us for sale during the tour. What kind of songs did you record for these EP's? For the split with Mother Mars we contributed short pure hard rocker called "Blessed, Cursed and Crucified". And for the split with Samavayo we gave very prog-oriented experimental long song "Kobaia Express". You will be able to download it from our BandCamp on 27th of February. So will you have these records on hands during the tour? As usual lots of CDs, vinyl and T-shirts. 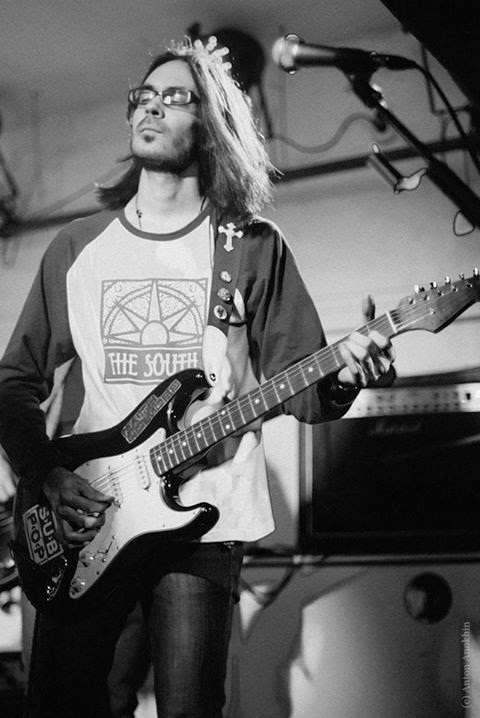 How do you feel yourself balancing on the edge between doom and psychedelic rock scene? I don't really care or think of it I am taking the best of both worlds and happy with it!